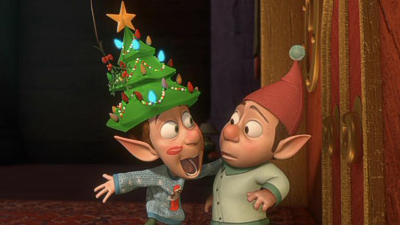 Santa’s elves Lanny and Wayne bring Christmas cheer to television screens in three very fun Disney featurettes. 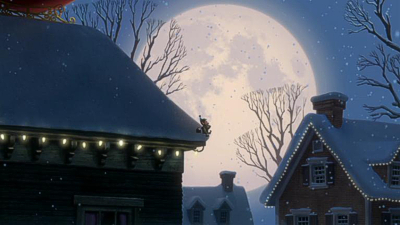 It may seem impossible to imagine that, in all the years the Disney Studio has been producing entertainment, the animation division had never created any kind of specific Christmas special for television before Prep & Landing arrived on our screens a couple of years ago. Of course, that’s slightly more than just hype speaking, and the attempt to trumpet the program’s “all-new” attributes as being something never before done is a little over the top and just a little bit inaccurate. 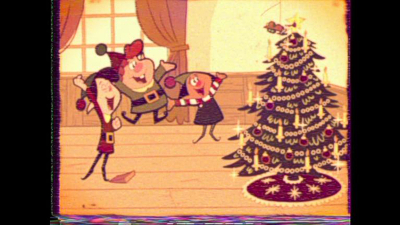 Walt’s very first television excursion, of course, was a Christmas show: One Hour In Wonderland was designed to promote his upcoming Alice In Wonderland feature along the lines of the previous live-action film Fun And Fancy Free. Just one year later, Walt hosted another Christmas program, entitled The Walt Disney Christmas Show, which promoted Peter Pan two years before its eventual release in 1953 and again hinted at Walt’s fascination with the medium. By 1955, Walt was fully involved in the TV business (mainly as a way to fund the Disneyland park), and holiday specials were part and parcel of the various series he produced. It’s true that these were mostly made up of recycled shorts, but some did feature new animation, especially the later special From All Of Us To All Of You, a one-time perennial that had host Jiminy Cricket linking all sorts of jovial Disney Christmas frolics. 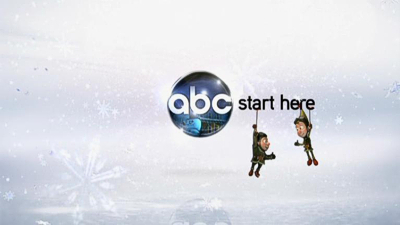 On home video and from the television department, the likes of Mickey Mouse and Winnie The Pooh have kept audiences pleased with Christmas offerings since the dawn of the VHS era, with several compilation programs produced specifically for the small screen, and DVD continued that tradition with reissues of old tape favorites and introductions of new titles such as Mickey’s Once and Twice Upon A Christmas and the like. So I suppose it is true – and even then only since the days that home video, television and theatrical animation were split into separate entities – that the original Burbank feature animation unit had never really turned out a full-length, made for television special. Let’s take Disney at its word and go along with the official line: while the claim certainly leans in marketing terms, it’s true enough, in a way at least, largely impossible as that sounds. So the great thing is that it’s been worth the wait: on its debut in 2009, the original Prep & Landing was among the first of the fruits of incoming new Disney chief John Lasseter’s labors to revitalize the animation department after a few years of wandering without much direction. The feature films had been successful, but not to the extent of earlier successes or the Pixar films Lasseter had also spearheaded, and artistic morale was famously low. It’s only really with Tangled that we’ve truly seen a new Disney emerge from under Lasseter’s guiding hand, but arguably Prep & Landing was the start of that. 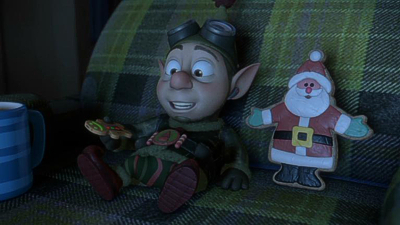 Much like the more recent Arthur Christmas, which bears many uncanny similarities with Prep’s basic concept, the 2009 special suggests how Santa is able to fulfill all those gift requests each year in just one night, and supposes that his North Pole organization has kept up with the times, utilizing the latest stealth technology to send forward-planning elf agents to clear, secure and prepare each destination for a safe reindeer landing and present delivery. It’s a fun idea, played out with much gusto and irreverence while being faithful to the Santa myths and could easily have been released as a theatrical featurette as a support to one of Disney’s end-of-year movies. 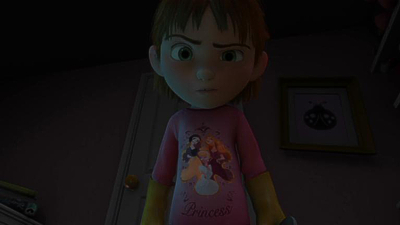 The animation, of today’s CGI variety, is exactly of that kind of feature quality, with high-end effects and perfect digital character animation that might well have been a learning ground for traditional artists to make a switch to computer rigs, but comes off as clearly being where the old-style Disney mentality leaves off and the Lasseter-influenced sense of old-fashioned fun begins. The initial Prep & Landing, at just under 22 minutes without commercials, certainly zips by at a snappy pace but never feels anything less than substantial: there’s a reason it picked up four Emmy awards and got noticed by the Annies and others. 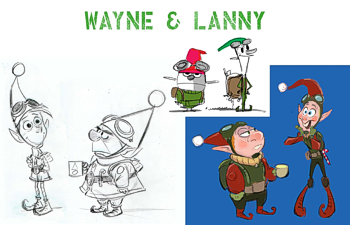 At its heart, Lanny and Wayne make for a classic pair, and if the design for most of the characters goes for the more predictable approach, one can only say it’s probably the only way the artists could have gone (while I did enjoy Arthur Christmas, I did feel a lot of it owed something to these Prep outings, especially in elf design, so maybe they’re all just based on common elements). As the nominal star name, A Bug’s Life’s Dave Foley is Wayne, but he’s good casting, as are all the voices, none of which upset the balance of the story by coming over as too famous or distracting, and Derek Richardson’s Lanny is in fine form too. Prep also has fun with those old familiar Christmas elements, too: the reindeers make it through a particularly heavy snowfall “laughing all the way, my friend…laughing all the way”, the elves’ high-tech gadgets show “zero creatures stirring” as they investigate a new home, and the operative codename for Santa’s sleigh will bring a smile to many a cineaste’s face! 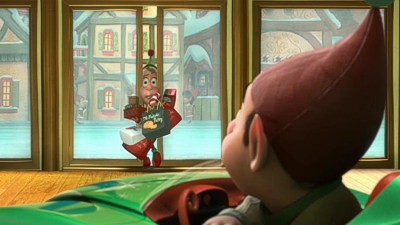 Some of the more Pixar-ccentric touches can be felt in the Monsters, Inc. styled blue-collar atmosphere of the North Pole’s factory floor small talk and Wayne’s corporate business promotion hopes, dashed in favor of having to train his new, overly enthusiastic partner Lanny. 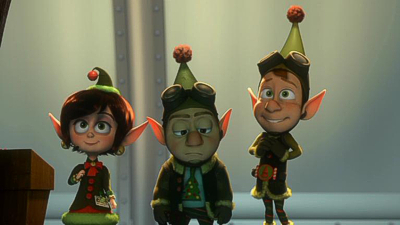 In 2010, Wayne and Lanny were back for a mini-sequel of sorts (or a “Prep & Landing Stocking Stuffer” to use the cute marketing term) ahead of a lengthier follow-up special planned for the following year. 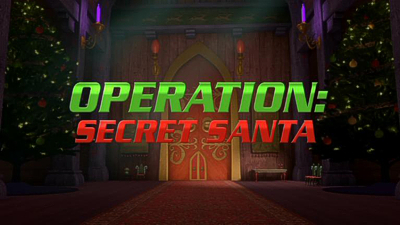 In the seven-minute Operation: Secret Santa, also an Emmy award winner, the now teamed-up duo are given a super-covert mission by Mrs Claus (voiced by one time Golden Girl Betty White) to retrieve a unique item from Santa’s office. 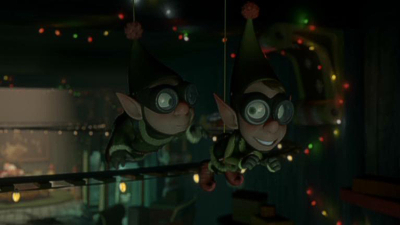 Although there isn’t too much expansion here on what we saw before, it’s still a sweet little outing and composer Michael Giacchino again has fun melding the sound of Christmas with an undercover Mission: Impossible touch. There’s also some customary Disney inventiveness in the way Wayne and Lanny manage to achieve their task, although the set-up does suggest a Tex Avery kind of treatment that’s ultimately missing in favor of a more sweet, old-fashioned storytelling that’s reassuring in itself, and the animation and direction are as sure-handed as ever. 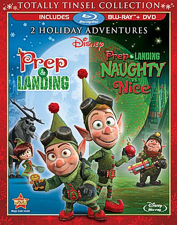 Another year later once more, Wayne and Lanny were back again for the third and, so far, final of their small screen adventures, Prep & Landing: Naughty Vs. Nice, easily the most epic and ambitious of the films. Here the locations are greatly expanded in both size and the sheer amount of them: if the previous two outings weren’t feature-quality enough, Naughty Vs. Nice certainly adds a very luxurious bow to some already lavish packaging. 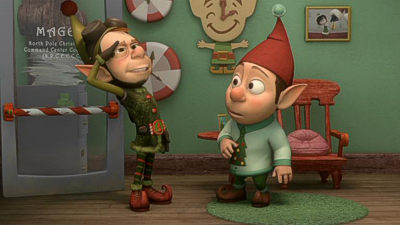 Introducing Wayne’s “little” brother Noel (nice), the elves’ dynamic is upset by the new extrovert on the team, even if Lanny is totally, tinselly in awe of the new elf on the block, but family squabbles must be placed to one side when one of the naughty kids discovers the elves’ secret and taps their way into North Pole HQ. The three are sent to set things right, but of course it is as never as simple as that and an interesting observance on family relationships plays out when the “naughty” kid’s own explanation is revealed and Wayne finally explodes over Noel’s temperament. 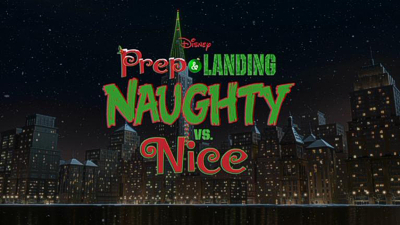 With more depth, excitement and emotion (as well as a few knowing nods to Disney’s own past) Naughty Vs. Nice makes for an excellent conclusion – if this is all there are to be – to the series. 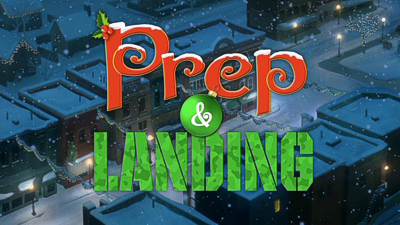 Watched together, the three Prep & Landings create a nicely coherent “trilogy” of stories, culminating in the large-scale final attempt to save Christmas at the end of the third special. 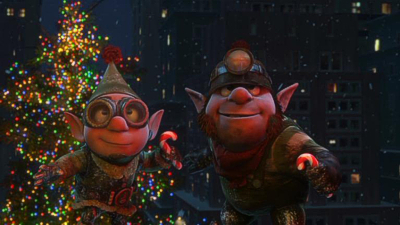 DreamWorks’ Shrek The Halls may have kickstarted the fashion for modern animated Christmas programs again in 2007, after many years of Rankin/Bass’ stop-motion re-runs, but Prep & Landing seems to have turned into almost being a genre of its own, with additional specials coming from the likes of Blue Sky’s Ice Age franchise joining them on the airwaves. A home video release was likely and, after a lackluster DVD of the first special only, this new Blu-ray and DVD combo provides the best way to catch the Prep And Landing specials and spread a little Disney Christmas joy. When Disney could have so easily dumped the two full-length specials and the shorter mini-special on a barebones disc it comes as a welcome surprise to find so many other boxes under the tree, or so to speak. I’m a little perplexed as to why the shorter Prep & Landing Stocking Stuffer Operation: Secret Santa has been lumped in with the extras when it deserves its place with the two lengthier specials, which are selected on choosing Play, so I have included that in the comments above, the rest of the bonuses being a mix of TV spot type extras and behind the scenes supplements…all in HD! 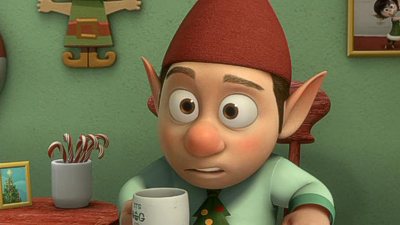 Tiny’s Big Adventure (1:10) is a quick little joke spot that features the littlest elf attempting to make a cup of coffee, while Kringle Academy (4:50) groups three spoof training film segments created in lovely old-school limited animation and given a vintage film treatment – some kitschy 1950s background music would have suited these wonderfully. 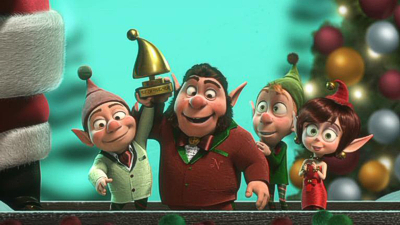 North Pole News (2:40) serves up more of the same kind of thing in a couple of clips: an Elf Of The Year showreel and an elf Newsreel (both in black and white) that each have fun with pun names and the like. The 1950s Mary Blair-esque traditionally animated artwork continues in a series of ten North Pole Commercials (6:50), each of which add a little more welcome content but most of which could have really done with some authentic background music to liven them up and add to the vintage feel. Best of the bunch are two dated “VHS commercials” for festive celebrations at Christmas Carol’s bar and Captain Avalanche toys, both of which feature some special new animation. 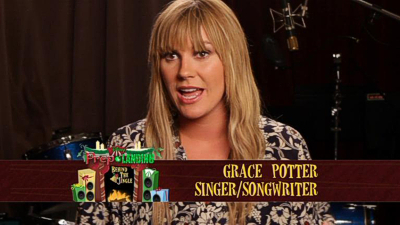 Taking a look at Naughty Vs. Nice’s bar-room and end-credit new song, Behind The Jingle with Grace Potter highlights the singer-songwriter’s contribution to the special. As cinematically paced as the specials themselves are, this promotional piece is as rushed and packed with soundbite snippets from Potter, who also provides the sniffs and grunts for Carol herself. Although only just over two minutes, it works quite well, the track itself bringing a fresh approach to a Christmas song and Potter elaborating genuinely about her involvement. There’s more behind the microphone explorations in a number of Promotional Pieces that offer up a good amount of supplemental material, starting with The Recording Process, in which the vocalists reveal what they bring to the sound booth on a project like Prep & Landing. 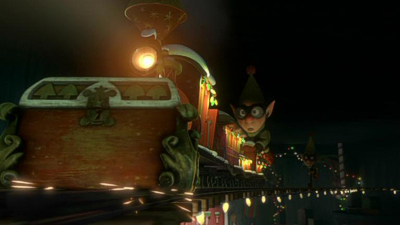 The Animation Process speaks with Lasseter and directors Kevin Deters and Stevie Wermers-Skelton, revealing the special’s origins as one of the short films the Studio was looking at making when Lasseter came onboard Disney Animation, and the vocalists return to describe The Characters of Prep & Landing. 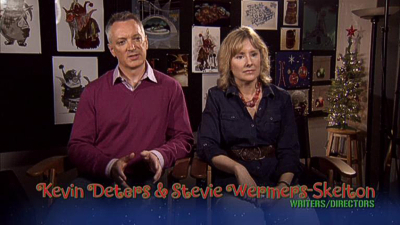 Christmas Unwrapped is a swift but decent coverage on the making of the Naughty Vs. Nice special, hopping from the vocalists to the animators back when it was known internally as Prep & Landing 2, with pretty much the same treatment applied to the original special for Prep & Landing: Behind The Scenes. A little more leisurely than most of these peeks usually are, there’s an actual chance of appreciating the information contained within them, adding up to over twenty minutes of material – a generous amount even if it is promotional in nature. 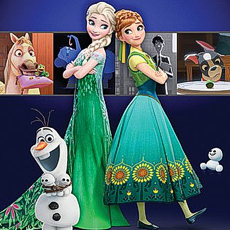 In something of a rarity these days, the enclosed DVD features all of the extras from the Blu-ray Disc, as well as sharing a number of Sneak Peeks for, among others, Peter Pan’s Diamond Edition, Pixar’s Monsters University and Brave, ABC Family’s 25 Days Of Christmas, Santa Paws 2, Cinderella II and III: 2-Movie Collection, Finding Nemo, the ubiquitous Planes (just finish the thing and put it out already! ), plus a very nice and sombre preview for a Mulan: 15th Anniversary Blu-ray that looks beautiful. Sharing the same red-bordered slipcover treatment as Disney has traditionally awarded its bigger Christmas titles, from the Jim Carrey-starring A Christmas Carol to the much better Muppet Christmas Carol just released on Blu-ray (sadly only in its trimmed American version that loses a pivotal song moment), Prep & Landing comes titled as a Totally Tinsel Collection of two holiday adventures. Two stickers announce the ABC connection and 90+ minutes of bonus content, although I make it less than half that, or maybe just over 45 minutes if you include the Secret Santa short as an extra, and the running times of each special, at 23 minutes each, stretches things a little (they both run around 21:30). Better value can be found inside: as well as the Movie Rewards code, there’s a very nice offer for a Prep & Landing Image Gallery, in reality a code that can be redeemed for a printable PDF of around 75 pages of a stated 100+ images that highlight the Characters, Locations, Gadgets and Gizmos. It’s a lovely extra, although the three promised “theatrical posters” for each special are a no-show and there’s no “end” to the book, it simply finishing without even a Disney copyright to be found, which makes it feel like something is missing. Still, there’s a lot of stuff here, even if it would have been nice to also have a similar gallery on the disc itself. With the two longer specials naturally looking fantastic in HD (and better, I must suggest, than on their original television airings), it’s also nice that the shorter second film is also preserved in high definition even though it has been unfairly downgraded to bonus feature status here. All three remain in their correct 16:9 ratios and look perfect, the softer, misty image an art and directorial choice that provides a nice, old-time look to these films that’s alive with a Christmassy glow. Presented in original 5.1 DTS-HD Master Audio, all three Prep & Landing shows sound as good as their feature animation visuals. And there’s not really anything more to say than that – these films are theatrical quality shorts in all but official description, the third one especially being packed, quite literally, with all the surround sound bells and whistles one would expect. French and Spanish dubs and subs are also offered, in Dolby Digital. The three Prep & Landing films may not have the wow factor of the latest Disney or Pixar feature, but they provide top-flight entertainment, quality visuals and solidly simple storytelling. 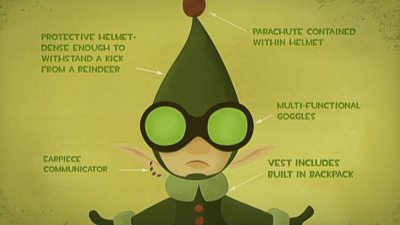 In many ways, and despite the modern CG technique and high-tech gadgets the elves employ in their contemporary working life, these feel like classic Disney featurettes from yesteryear, which is all for the good. While other specials seem to take the more streetwise approach, Prep & Landing’s outings stick with a warmth and authenticity to Christmas that can easily go missing. With heart, humor and a better than expected gift of supplements in this well-timed Blu-ray edition, this is a perfect family treat and a great way to enjoy your elves this Christmas. Ho-ho-ho!